Are you looking for a tasty, nutritious, crop that can be grown early in the spring and late into the winter? One delicious carrot contains enough beta carotene for your body to meet 100% of ofí recommended daily allowance of vitamin A, an essential for good vision and normal growth in children. They are easy to grow, if you know a few tricks. Carrots can be planted in Ohio any time from April through July. Success is always determined in the first three or four weeks of growth, but once they are established and mulched, they need little care. The large root of a carrot needs loose, deep fluffy, rock free soil,and plenty of moisture to grow quickly and produce a crisp, juicy carrot. 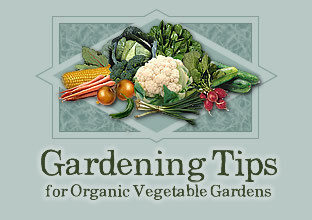 Use your lightest soil, and mix in 3-6" of compost. This will ensure a crust free soil and enable the tiny seedlings to easily emerge. Avoid synthetic fertilizers such as miracle Gro which will kill soil life and harden the soil. Because carrots are spotty germinators, sow seed thickly. Some common techniques for sowing include mixing the tiny seeds with sand and then broadcasting. When covering the seeds, try a thin layer of peat moss, it will old moisture. It will take the seeds 2-3 weeks to sprout. If they are allowed to dry out at any time during this period, your crop may not get out of the ground. Wait before you plant and check the bed daily. If you must go away, lay a sheet of wet burlap over the bed to conserve moisture. Thinning is complicated by look-alike weeds. Wild carrot (Queen Anne's Lace) and ragweed. With a little practices, you'll be able to tell the ferny carrot seedlings from the coarser ragweed leaves. To identify wild carrot, which has the same ferny leaf as the tame carrot, scrape a little soil away at the base of the stem, if the root is white, pull it out. To make life easier, avoid planting carrots in beds infested with wild carrot. Weed by hand once or twice, then mulch to control weeds and protects carrot shoulders from the sun, which turns them green. Tender, juicy carrots are produced by rapid growth, so keep well watered if it doesn't rain. Tunnel in the roots are caused by carrot fly larva. Control them by covering the growing plants with floating row covers and annual crop rotation. Row covers also prevents aster yellows, which is spread by the six spotted leaf hopper. Carrots are an excellent storage crop. To store in the ground. mulch heavily over the tops and dig as needed during the winter. If you have a cellar, store them in buckets of moistened peat moss. Once you try your own homegrown carrots, you'll never go back to store bought again.